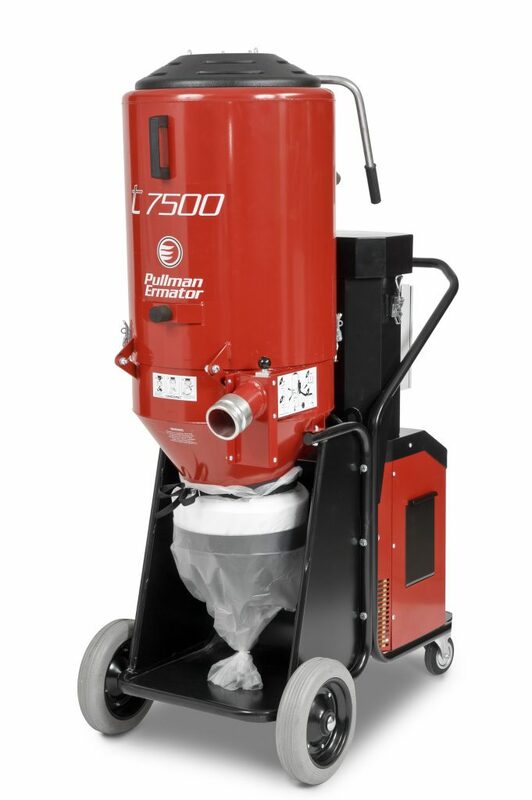 T7500 is a powerful three phase dust extractor with a large filter surface. Wear resistant pre filter hoses and two H13 hepa filters. Longopac® bag hose system for dust free bag changes. Equipped with filter cleaning, non marking wheels and camlock connections. Suitable for all types of floor grinders as well as construction and decontamination.